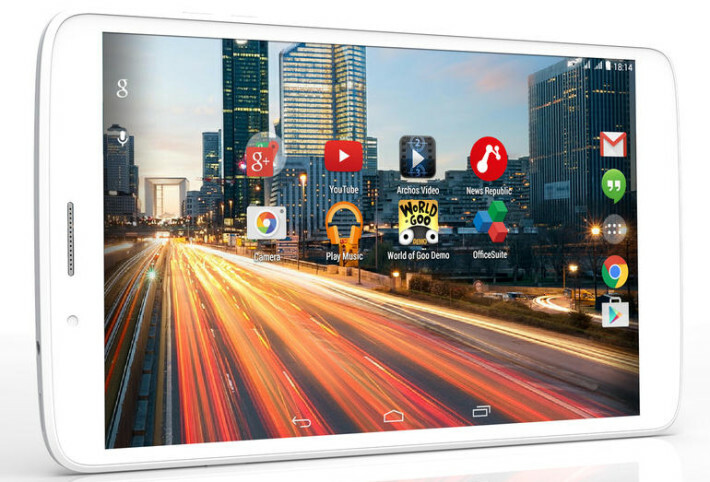 French Manufacturer Archos is all set to release two new devices at CES this year. The 50 Diamond Phone and 80b Helium Tablet are no different from the budget-friendly line of devices regularly produced by Archos, and these devices have been planned to make their first appearance at CES 2015. However, the press release has given us some important details about both these devices. The 50 Diamond is a 4G smartphone that has LTE support. It contains Octa-core Snapdragon 615 Processor along with 2GB of RAM. The phone comes with a stunning 5-inch 1080p display, and has a pixel density of 440ppi. Users can enjoy high quality photography with 16MP rear-facing and 8MP front-facing camera. The device weighs about 142g, and runs on a 2700mAh battery. The current version of Android on this phone is 4.4.4 Kitkat, but manufacturers have expressed their interest for an upgrade to Android 5.0 Lollipop soon. Despite having all these features, users can avail this phone at the price range of only $200 -$300. You can learn more about it at CES. The 80b Helium Tablet was also included in the announcement. This tablet is also 4G-LTE supported, and is a sequel to the 8-inch 80 Helium 4G Tablet that has been in the market for some time now. From the meager amount of information provided by the manufacturer, it has been deduced that it will be a very thin tablet, and will run on Android. It is also believed to contain a 1.5 GHz quad-core processor. The price of this product is expected to be around $150. Customers have to wait till CES 2015 to learn more details about the product.